All year long, the Northeast Regional Epilepsy Group promotes epilepsy education for patients, their caregivers, medical treatment staff, and the general public. Team Northeast Regional Epilepsy Group participates in several epilepsy walks and many different fundraising activities that directly benefit the national or local epilepsy foundations and advocacy societies. Check out our upcoming schedule and you may find an activity that interests you. Melissa Carollo, captain of team Northeast Regional Epilepsy Group will be marching to raise funds. 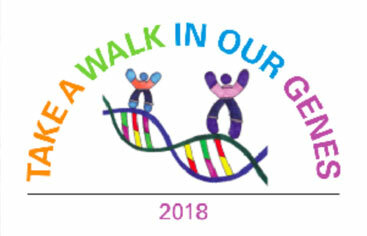 All funds raised will support the needs of the patients and families of the Genetics Services Department at the Hackensack Meridian Health Joseph M. Sanzari Children's Hospital. The Genetics Service department is a leader in clinical genetics in the metropolitan area and has been in existence for more than 30 years, offering genetic services and testing for both children and adults. We work closely with the Genetics Service Department and think they do wonderful work with our patients.